Study authors Nyssa Silbiger, then a UCI postdoctoral researcher, and UCI graduate student Laura Elsberry (standing) survey tide-pool communities at Corona del Mar State Beach. 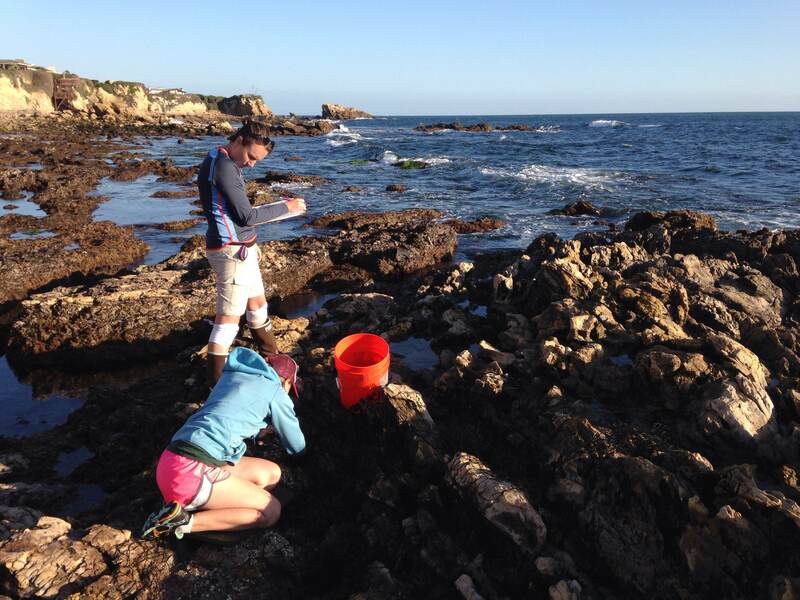 Irvine, Calif., Jan. 22, 2018 – Marine plants and seaweeds in shallow coastal ecosystems can play a key role in alleviating the effects of ocean acidification, and their robust population in shoreline environments could help preserve declining shellfish life, according to a study by University of California, Irvine ecologists. The study results appear online in the open-access Scientific Reports. “Our findings from sites spanning some 1,000 miles of coastline show that marine life plays a leading role in driving local pH conditions,” Sorte said.